The Geneva History Center this month hosted a World War II USO dance, reminiscent of the days when young servicemen and women would find respite from the war with a night of entertainment. “The beauty of this event is that people decided to stay with the theme and they are all so proud, as they should be,” said Margaret Selakovich, an educator at the Geneva History Center. People came in 1940s-era attire and danced to wartime favorites. The History Center’s executive director, David Oberg, carried a golf club in homage to Bob Hope and read a letter published in a Geneva newspaper from Daws Butler, who served in the Navy in World War II. 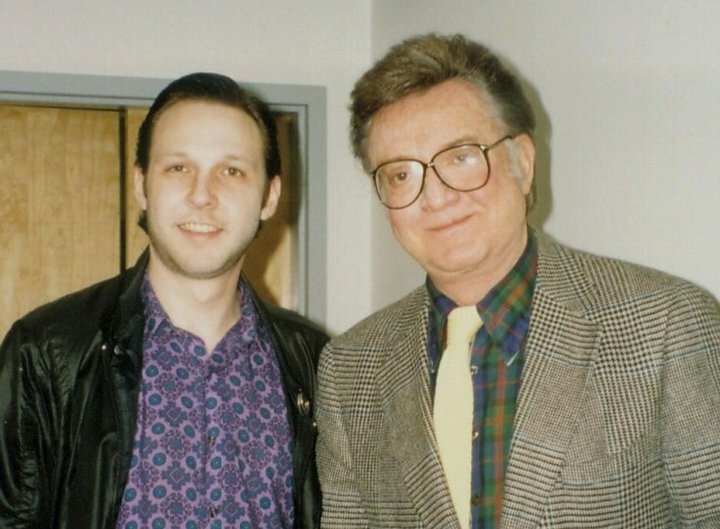 “[Daws] was hilarious and his one-line comments were something you would hear at a Bob Hope USO Show,” Oberg said. – Daws’ vocal protegé Joe Bevilacqua (aka Joe Bev) will be hosting a live taping of his Cartoon Carnival radio show on Monday, November 16th from 7-9PM at the Glendale Library Auditorium in Glendale, CA. Come be part of a live taping of Joe Bev’s radio show, meet in-person: Joe Bev, June Foray (the voice of Rocky the Flying Squirrel); Bill Marx (son of Harpo); writer-historian [and voice director] Mark Evanier; writer-voice actor Earl Kress; voice-actor Gregg Berger; TV personality Bob Mills, and buy an autographed copy of Joe’s Uncle Dunkle book, and June and Bill’s autobiographies. 10% percentage of the book sales go to ASIFA Hollywood. I have some friends planning to be there, so I hope to have links to share afterwards with photos and video of the event. Unkle Dunkle can be purchased through Bear Manor Media, and according to JoeBev.com an audio companion (featuring Joe performing nearly 100 character voices!) was scheduled to be released November 15th, but as of this writing the ordering details are not yet available on the site. However, BearManorMedia.com does have a list of their upcoming audio book releases which includes a few other titles narrated by voice actors Joe Bev and Lorie Kellogg. Joe’s Cartoon Carnival radio show can be heard Sunday-Saturday on Shokus Internet Radio from 6-7 PM (ET). And if you don’t own it already, you should order Daws Butler: Characters Actor from Bear Manor Media, written by Ben Ohmart and Joe Bev with foreward by Nancy Cartwright (voice of Bart Simpson). – Warner Archive will release Yogi’s First Christmas on Tuesday, Nov. 17th exclusively through their website at wbshop.com. It features the voices of Daws Butler (as Yogi Bear, Snagglepuss, Huckleberry Hound, Augie Doggie), Don Messick (as Boo Boo, Ranger Smith, Herman the Hermit), John Stephenson (as Doggie Daddy, Mr. Dingwell), Janet Waldo (as Cindy Bear, Mrs. Sophie Throckmorton), Marilyn Schreffler (as Snively) and Hal Smith (as Otto the Chef, Santa Claus). – TVShowsOnDVD.com reports that Warner Home Video will release Scooby’s All-Star Laff-A-Lympics: Volume 1 on January 19th, 2010. The DVD will include four episodes featuring the voices of Daws Butler, Don Messick, Alan Reed, Mel Blanc, Casey Kasem, Gary Owens, Bob Holt, Scatman Crothers, Marylin Schreffler, John Stephenson, and Frank Welker. A bonus episode of Shaggy & Scooby-Doo Get A Clue will also be included. 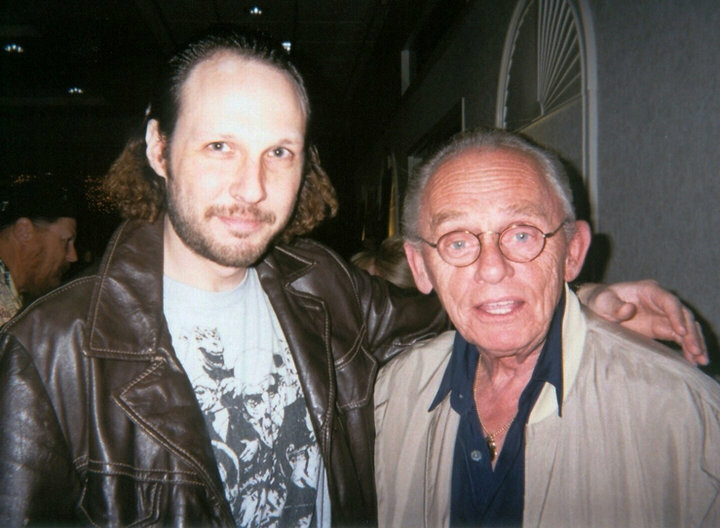 Monkey Goggles blogger Geoff Carter highlights the work of Mel Blanc, Daws Butler, Corey Burton, June Foray, Jim Cummings, Paul Frees, Frank Welker, and others. He promises a follow-up is forthcoming. Update: 12.20.2009 — Carter fulfills his promise, as promised. Cartoon Carnival image courtesy PR-Inside.com. 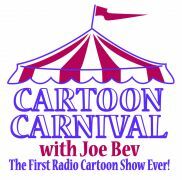 JOE BEVILACQUA (JOE BEV) RETURNS TO THE AIRWAVES WITH THE FIRST RADIO CARTOON SHOW EVER – CARTOON CARNIVAL! As the protege of cartoon voice legend Daws Butler (Yogi Bear), the veteran award-winning broadcaster (NPR, XM Radio) Joe Bevilacqua is no stranger to the cartoon world. Joe Bev even co-authored his mentor’s authorized biography, “Daws Butler, Characters Actor”, available at BearManorMedia.Com. From Mel Blanc to June Foray, from Disney to Hanna-Barbera, “Cartoon Carnival” is a lively hour of rare and classic cartoon audio, children’s records, cartoon music and sound effects, new radio cartoons, interviews and mini-documentaries about the wonderful world of animation. “Cartoon Carnival” with Joe Bev premieres on Shokus Internet Radio — ShokusRadio.com — September 7, 2009 (Labor Day). The show will run seven days a week from 3 to 4 pm (PST), 5 to 6 pm (CT), 6 to 7 pm (EST). – A Tribute to Joe Barbera, featuring Leonard Maltin, Hanna-Barbera cartoon clips and Joe Bev’s interview with Barbera. – Voice Lessons from Daws Butler, the very first tape Butler ever sent Joe Bev in 1976. – A never-before heard Huckleberry Hound and Yogi Bear cartoon. – A live performance of “Rocky and Bullwinkle” featuring the original voice of Rocky and Natasha, June Foray. – Mel Blanc’s demo tape… and more! For more Joe Bev, check out JoeBev.Com. ShokusRadio.com is now offering previous broadcasts on CD for $4.95 each. Past interviewees (available for puchase on CD) include voice director Mark Evanier, animation writer/voice actor Earl Kress, Janet Waldo (The Jetsons), author/voice actor Keith Scott, Eddie Carroll (voice of Jiminy Cricket), Ronnie Schell (Grim & Evil, Megas XLR, Yo Yogi! ), and Jimmy Weldon (The Yogi Bear Show).